The River Tawe being navigable to sea traffic for some three miles into the South Wales coalfield made its banks prime sites for industry. The establishment of the Swansea Harbour Trust meant the River Tawe’s delta would also undergo improvements, especially when they took over port administration from Swansea Corporation. They increased the number of docks in line with the growth of the town’s industrial base. 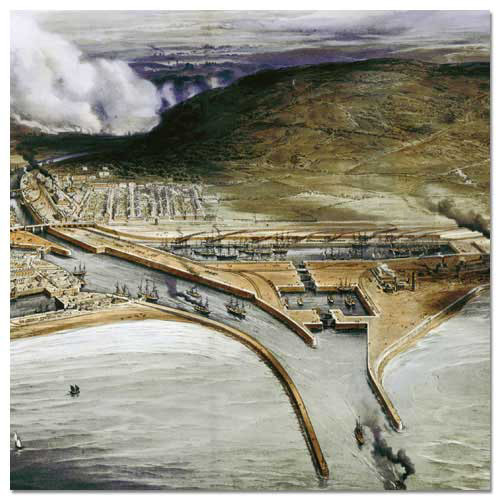 The opening of the first dock on the east side of the river brought the Prince and Princess of Wales to Swansea for the first time on Tuesday, 18th October, 1881. 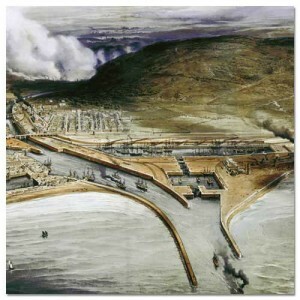 The Great Western Railway bought up the Swansea and Trewyddfa Canals, building a railway on their banks as they sought to take over the lucrative trade that existed between the heavily industrialised area of the Lower Swansea Valley and the port, much of which was going to their rival, the Midland Railway.